An excellent clear adhesive for plastic repair and emblem application. 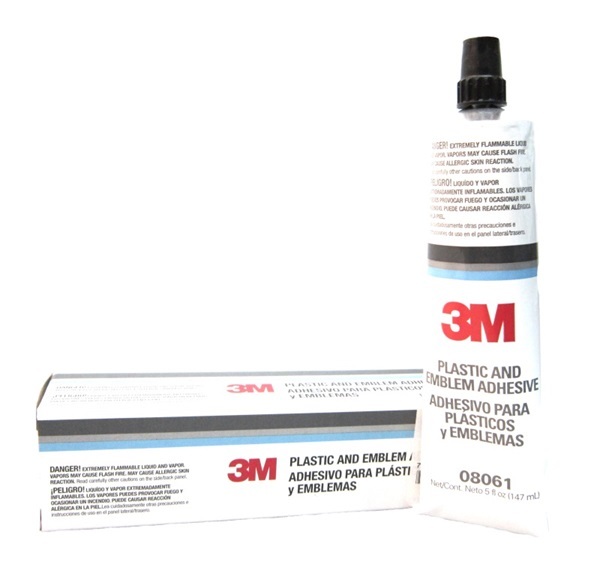 Use this strong, quick-drying adhesive for plastic or metal emblems, interior rigid plastic, tail light lenses, vinyl side moldings or upholstery. 5 oz. tube.